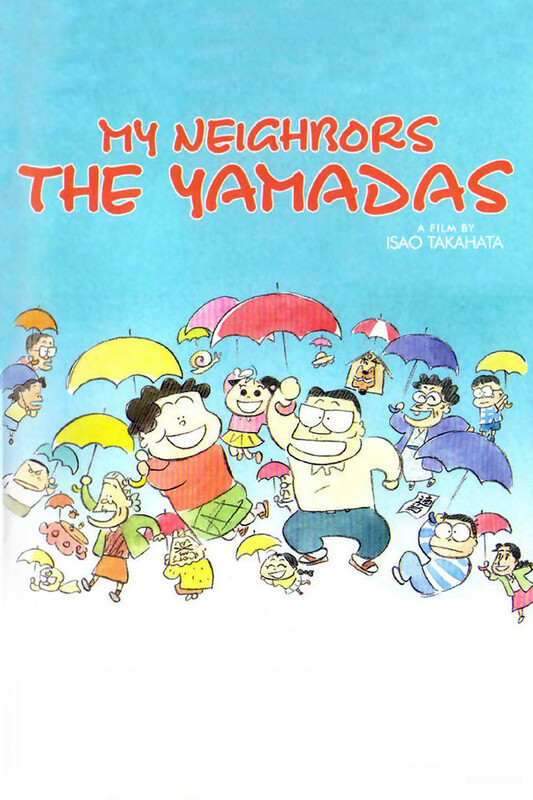 Another Studio Ghibli film, MY NEIGHBORS THE YAMADAS is a non-linear story about the routinely chaotic life of a Japanese family living in 1999. 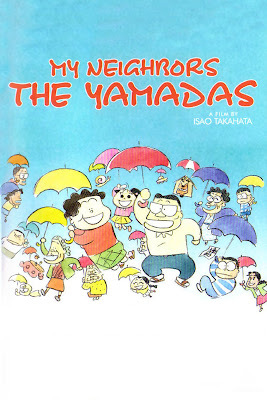 Directed by the famous Isao Takahata (GRAVE OF THE FIREFLIES), there is no solid story arc in MY NEIGHBORS THE YAMADAS. Instead, it consists of short segments – episodes – about the Yamadas and their everyday adventures. Some of the stories deal with rather mundane topics but are interspersed with charming bits of comedy. Other segments deal with heavier topics but also have subtle comedic undertones. Not your typical anime film but it was fun. I also loved the spontaneous bursts into song. The music was definitely a strong point. The Yamadas are your typical family: the overworked, often sarcastic father, the annoyed, not always compliant housewife, the idealistic daughter, the resistant son, and the brash, nagging grandmother. In one story, the family forgets the daughter, Nonoko, at the mall. In another, the grandmother visits a friend who’s plagued with, what can be assumed, a terminal illness. Each story is accompanied with a closing Haiku. A nice touch, really. After each story, you’ll fall more and more in love with the Yamadas.